The business has committed to purchasing over $50 million in Virginia-sourced eggs over the next three years, and plans to contract with over 100 Virginia farms. 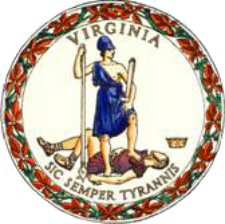 Virginia successfully competed against Pennsylvania for the project, which will create 105 new jobs. This is the largest jobs announcement for Clarke County on record, and the first economic development announcement in Clarke County during Governor McAuliffe’s administration. “Recruiting Handsome Brook Farm’s new egg processing facility is a huge win for the Town of Berryville, Clarke County, and the Commonwealth’s thriving agriculture industry,” said Governor McAuliffe. “I commend Handsome Brook Farm for choosing to invest in Virginia, as this will not only create jobs here in Berryville and Clarke County, but will also give our farmers a new market for pasture-raised eggs. This project highlights the vital role agriculture plays in the Commonwealth and we will continue to support these kinds of entrepreneurial project as we build the new Virginia economy. The New York based Handsome Brook Farm, LLC will purchase the old Winchester Cold Storage facility in Berryville and convert it into an egg processing facility. In 2015, Inc. Magazine cited Handsome Brook Farm as the fastest growing privately held egg company and the 14th fastest growing food company in the country. Handsome Brook Farm provides customers in 48 states with pasture raised eggs. The company’s high-quality eggs are available at many major retailers, including Harris Teeter, Kroger, Publix, and Wegman’s. Handsome Brook Farm is the only provider of 100% pasture raised eggs certified by the American Humane Association. The Commonwealth is partnering with Clarke County, the Town of Berryville, and Handsome Brook Farm, LLC on this project through the Governor’s Agriculture and Forestry Industries Development Fund, which is administered by the Virginia Department of Agriculture and Consumer Services. To help secure the project for Virginia, Governor McAuliffe approved a $200,000 grant from the AFID Fund, which Clarke County and Berryville are matching with local funds. The Virginia Economic Development Partnership assisted in securing this project for the Commonwealth, and will provide funding and services to support the company’s employee training activities through the Virginia Jobs Investment Program.